It was an excellent year for Airbus Group NV (EPA:AIR) as the group bagged more jet orders than its rival Boeing Co (NYSE:BA). However, the company did come second in jet deliveries, which is the point of discussion in Airbus management. The jetliner announced stability in its supply chain and the company is likely to increase the production of its money-spinner aircraft, A320. The latest strategy of the company would be to produce more cash-generating aircrafts and cut down the ones with lower demand. Airbus Group NV (EPA:AIR) announced that it is quite likely to cut down the production A330 amid declining industry demand. Fabrice Bregier, the chief executive of plane-making unit of Airbus, defended A380, double-decker jet from Airbus, claiming better days in future. At the same time, he said that any decision related to A380 would be taken entirely on business grounds. The market is expecting an upgrade of largest aircraft of the company as it would help the jet compete against Boeing’s 777X. Airbus Group NV (EPA:AIR) is planning to increase the production of its cash cow, A320, from 42 crafts a months to 46. John Leahy, sales chief of Airbus, said that he would rather prefer the production rate surpassing 50 units per month. Bregier also said that the management is debating over the sales and production of its higher selling single-aisle A320 aircrafts. At the same time, he gave a hint about the production cut of A330 without any specific numbers. 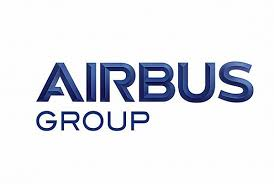 Airbus Group NV (EPA:AIR) beat Boeing Co (NYSE:BA) in terms of total orders received in 2014 with 1,456 orders. While Airbus has puts a lot of effort into winning the yearly orders race (claiming 400 order in December! ), Boeing works on the revenue and profits end of the business. Planes are not paid for until they are delivered. Airbus has had a larger order backlog than Boeing for a number of years but Boeing has been delivering more planes since 2012, and that’s when the revenue is generated, which is why Boeing is still the “largest” aircraft manufacturer. Boeing market cap. is $93B and Airbus’s is $42B, so obviously, “the market” is not impressed by Airbus’s order backlog. Both companies are doing quite well, but Airbus it does not appear that Airbus will be overtaking Boeing, anytime soon. Winning the yearly orders race is the highest priority for Airbus, which they did again in 2014 by booking 400 orders in December (a yearly rate of 4,800!). But producing more planes than Boeing; that’s not so easy. Boeing has delivered more planes than Airbus since 2012 and will certainly do so again this year – there’s no way Airbus can increase production enough to catch Boeing’s current rate, this year. Boeing delivered almost 100 more planes than Airbus in 2014 and the average revenue per plane is higher for Boeing. And that’s why Boeing will remain the largest aircraft manufacturer for the foreseeable future. Winning all those order races has gotten Airbus a lot of good press but has not vaulted them ahead of Boeing. Boeing’s market cap. is $93B while Airbus’s is $42B, which illustrates what investors think. But, both companies are doing quite well and look to be doing so for a number of years more.